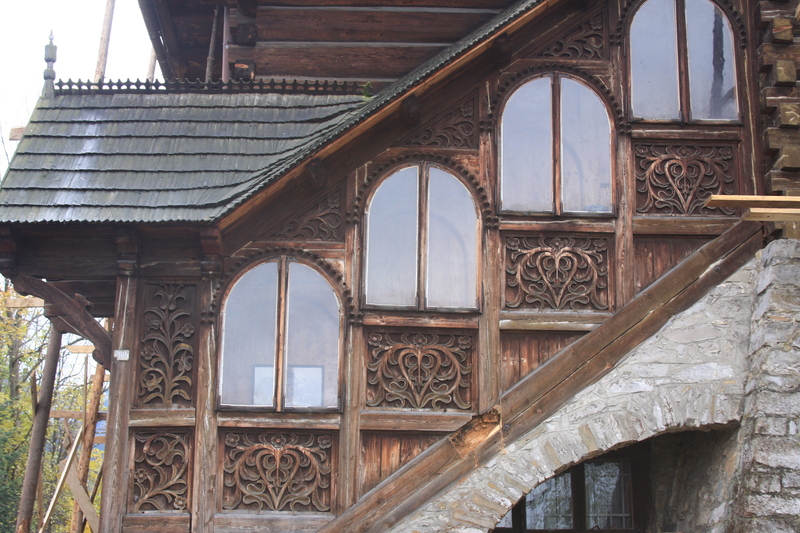 Wooden architecture is something that we believe is unique in this part of Europe. 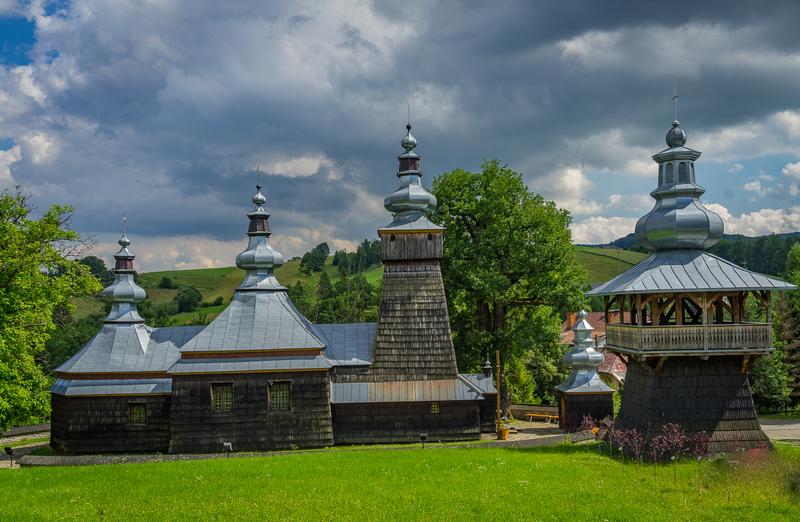 It has always made a big impression on the people who visit this southern region of Poland. 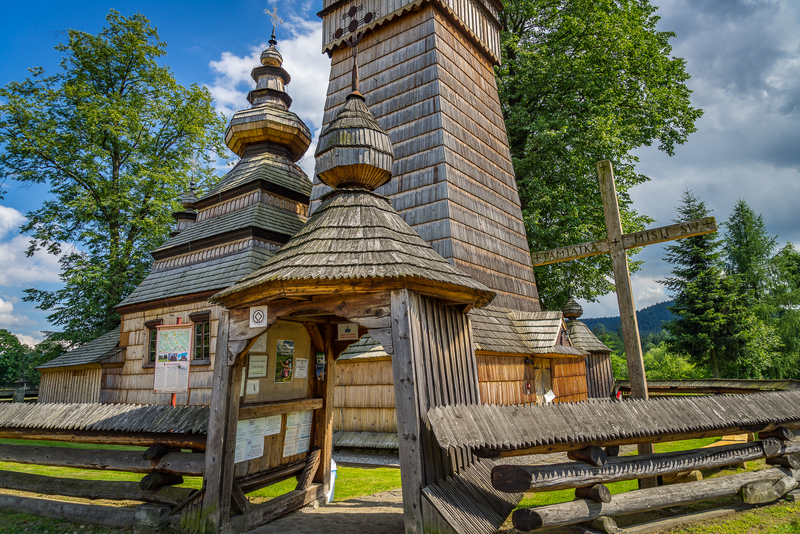 During this 3-day trip from Kraków, you will visit wooden churches on the UNESCO heritage list, unique wooden architecture styles from the Małopolska region. We will show you characteristic spa architecture in Krynica Zdrój and you will have guided tour in regional Skansen- Sądecki Ethnographic Park, where you can compare the different styles from the area. 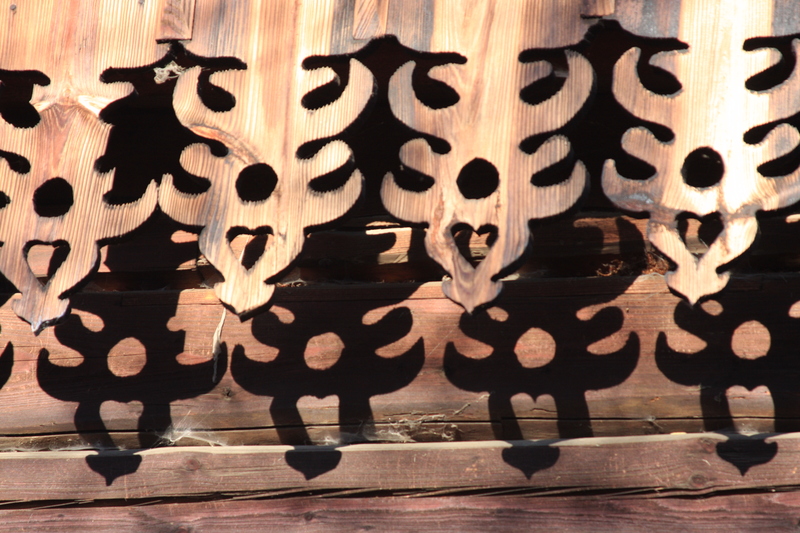 The beautiful shapes, perfectly balanced proportions of the buildings, and the intricate woodcarvings are admired by visitors. And there is something more? 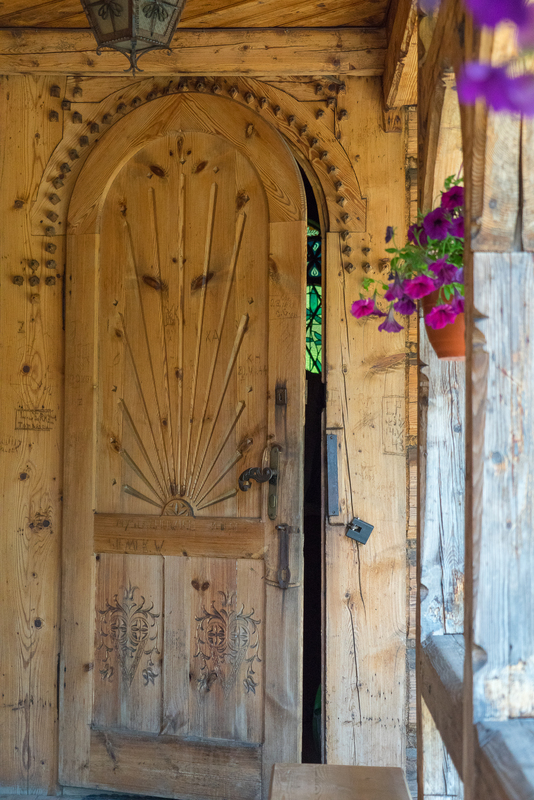 the very special aroma of the old wood, and the nice coolness you encounter when you enter the building on a hot day. The tour takes place in the province Małopolska (Lesser Poland). During the tour we will travel through Podhale region with beautiful views of Tatra Mountains, we will ride through Pieniny National Park which extends between the Polish and Slovak border. 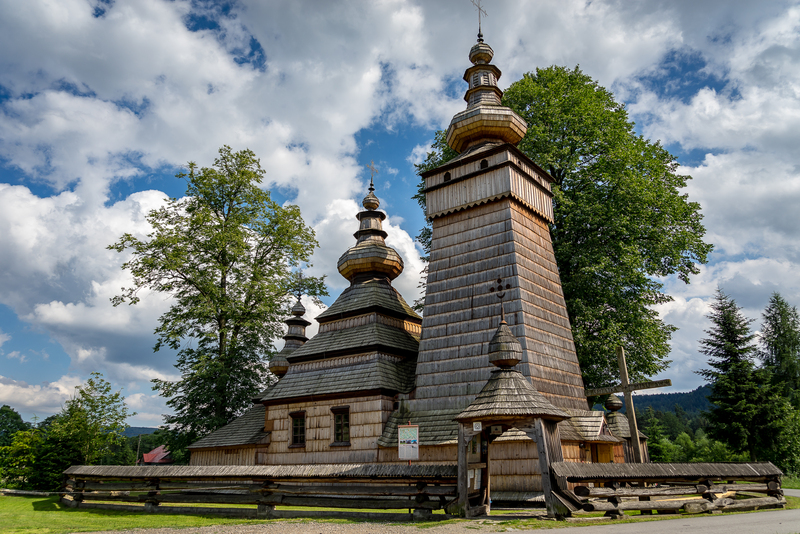 We will also visit the eastern part of Małopolska: Low Beskid which is the gate to the eastern culture. In the itinerary, we have included a short list of sites that we believe are the most valuable, well-preserved and most impressive. In the morning our English speaking guide will pick you up from your hotel in Kraków. You will have a passenger car at your disposal. 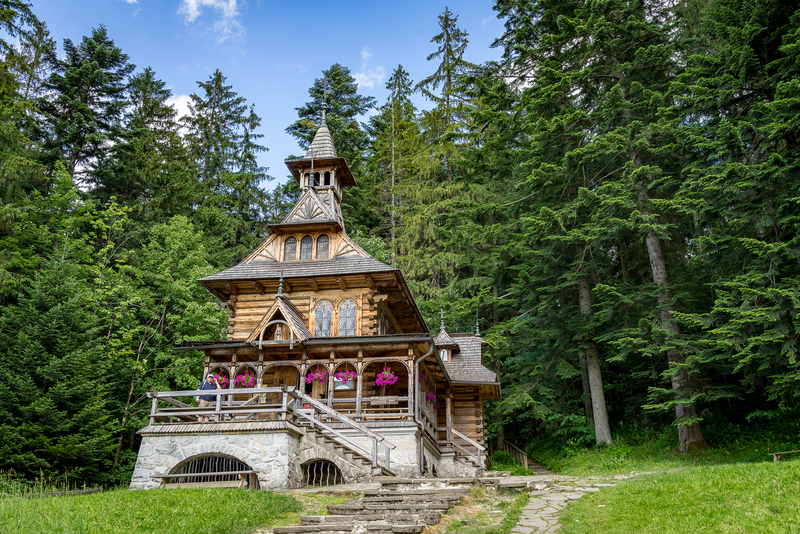 You will visit Zakopane, the heart of the Podhale region with its traditional architecture and 19th-century style created by Stanisław Witkiewicz. 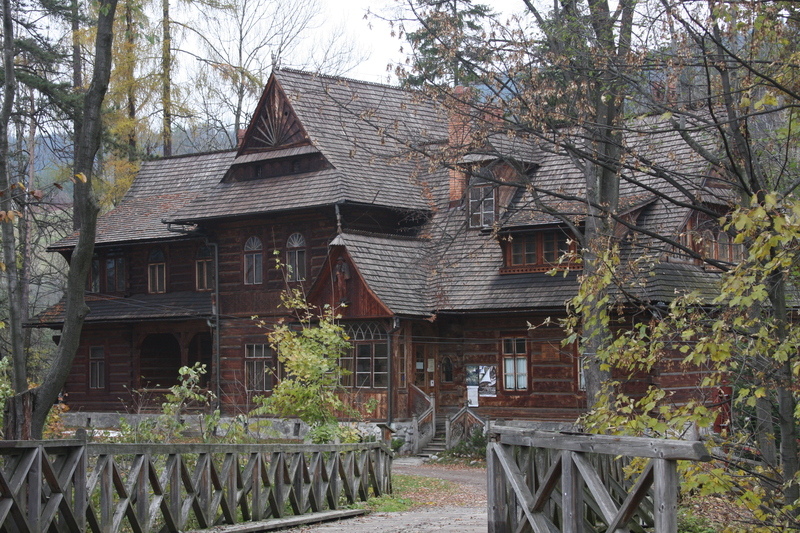 Read more about Zakopane: https://polishorigins.com/zakopane/ and http://blog.polishorigins.com/2013/07/16/the-koliba-villa-in-zakopane/. You will be accommodated in one of the hotels close to Zakopane, with picturesque views of the Tatra Mountains. the old section of Zakopane with its many beautiful wooden houses. 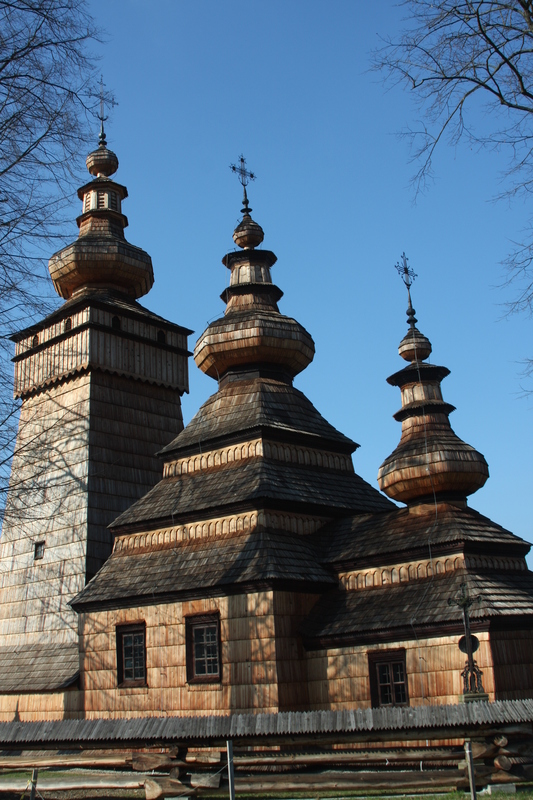 Today you will be traveling to see the wooden churches on the UNESCO list. There will be many examples of Roman Catholic and Greek Catholic sacral buildings. 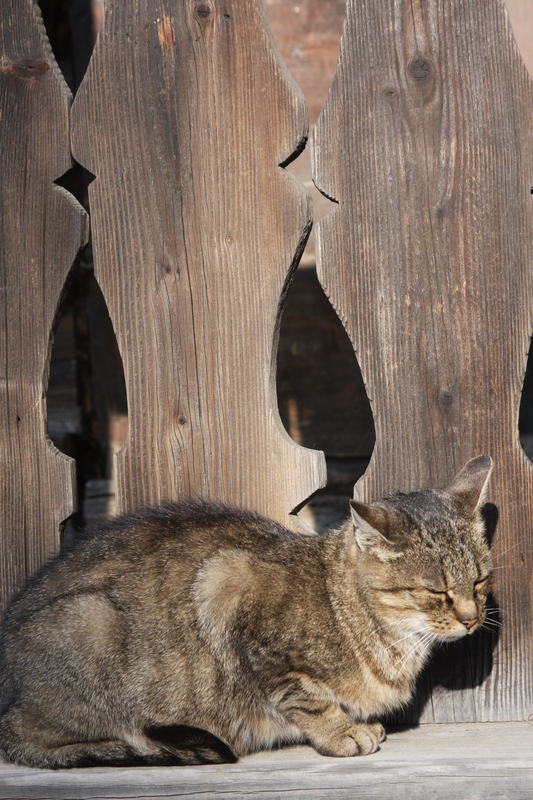 We would like to show you the cultural diversity of the southern Poland. The route is designed to show you the most picturesque landscapes of Podhale, with spectacular views of the Tatra and Pieniny Mountains. 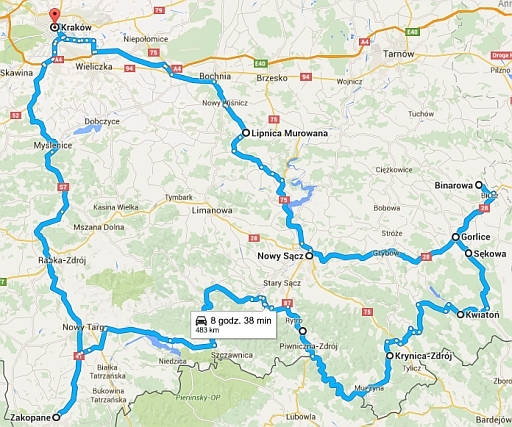 You will travel through Pieniny National Park which extends between the Polish and Slovak border. 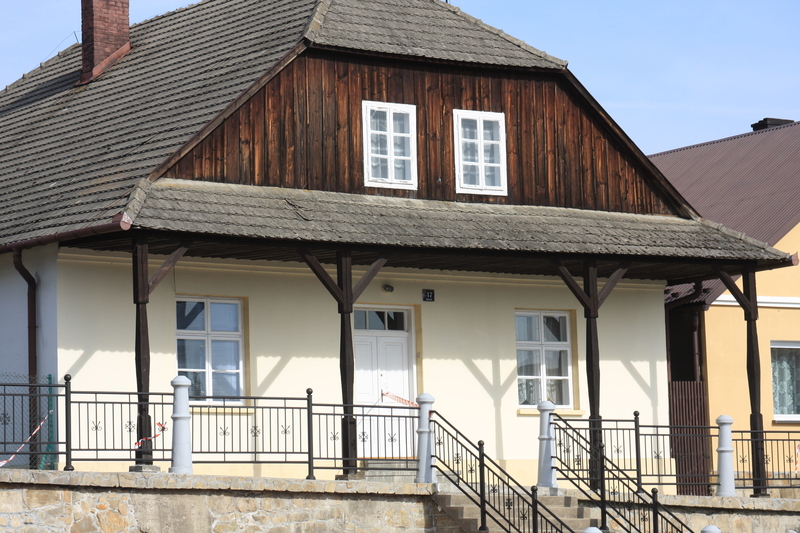 On the way, you will have the opportunity to see old, stately wooden villas in Krynica Zdrój with its characteristic spa architecture modeled on the architecture of Alpine spas. Dębno Podhalańskie: unique, gothic wooden church from the 15th century, with the complete, original polychrome paintings in the interior (the oldest painting of this kind in Europe). 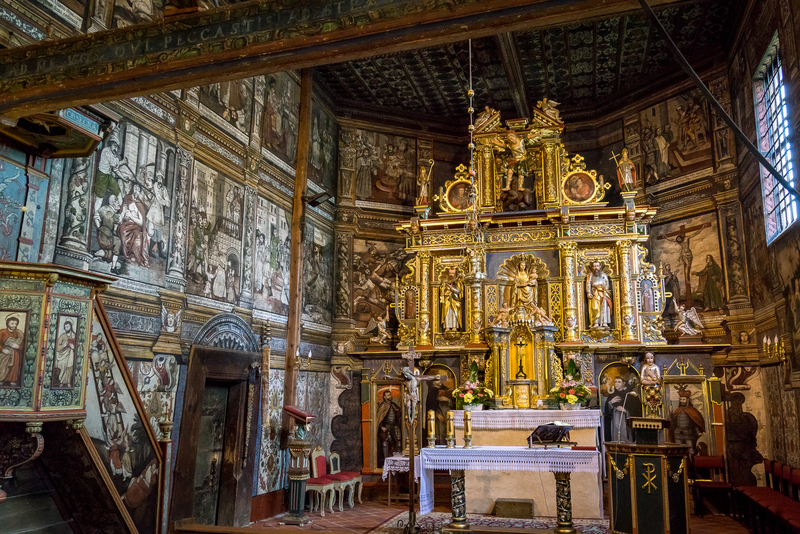 Kwiatoń: Greek Catholic orthodox church built in Western Lemko style with the complete iconostasis and the other examples of orthodox sacral art in the interior. 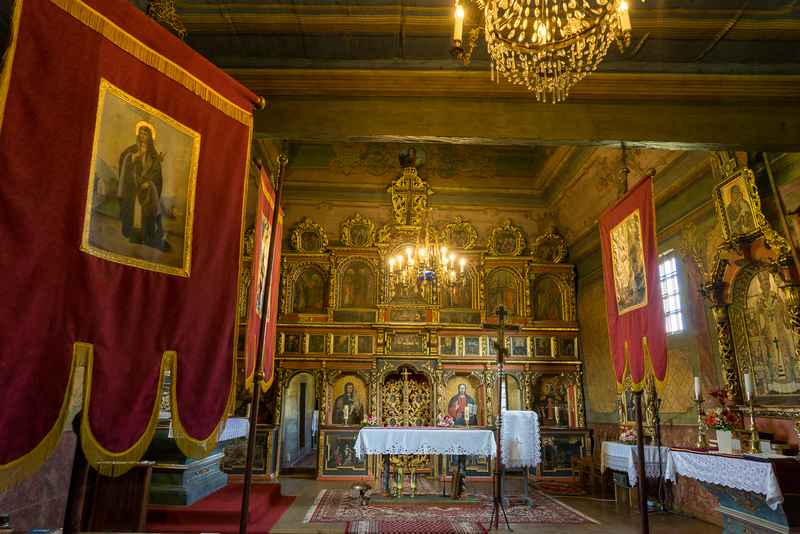 Orthodox church in Owczary, one of the oldest greek orthodox churches in the area, in 2013 included to UNESCO list, in the interior, you can see the 18th-century iconostasis. Today we are taking you back in time to show you how life looked in the 19th century. 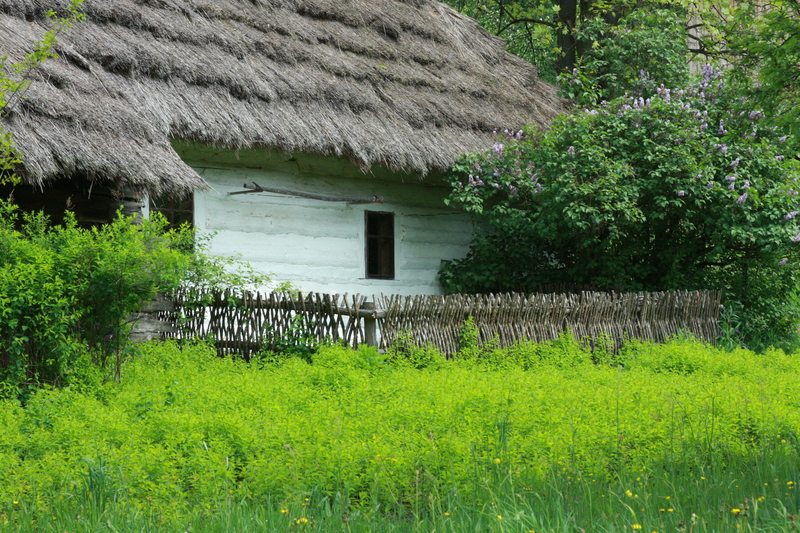 We will take you to the regional Skansen: Sądecki Ethnographic Park which is the most faithful restoration of the former ‘sądecka? village, where you will have a guided tour. In the afternoon we will drive you back to Kraków, stopping in the little town of Lesser Poland, with its old wooden, or partially bricked storey arcade houses with their gables towards the market but most of all with their incredible ambiance of the past: with their weekly markets, the horse carriages riding the streets and cats basking in the sun in the middle of the squares. 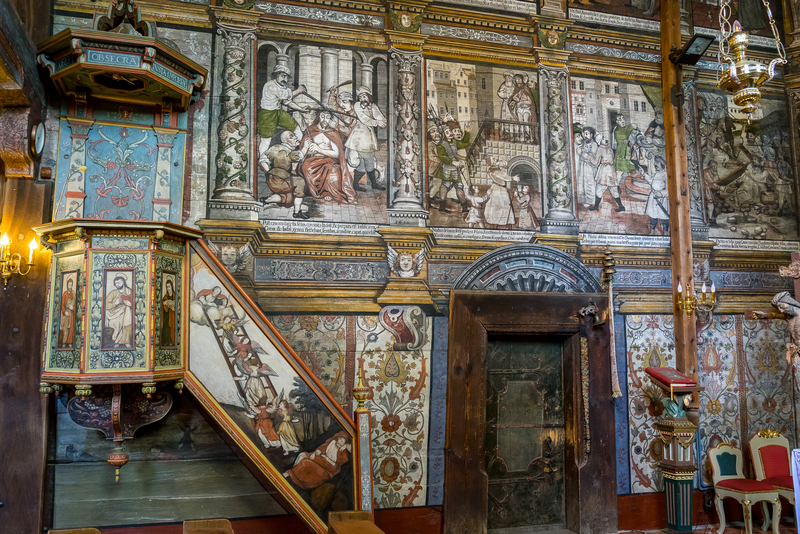 Binarowa – wooden church on UNESCO list, with ravishing polychrome paintings made over time where you can see the recently reconstructed polychrome of The Last Judgement. Nowy Sącz: regional Skansen- Sądecki Ethnographic Park which tries to mirror the former Sądecczyzna region village as closely as possible. Lipnica Murowana – the little town where it seems that time has stopped. The cost is largely dependent on the number o people and the exact dates o your planned arrival. Please contact us for more information. Excluded: flights, accommodation in Kraków, meals (with the exception of breakfasts), gratuities, additional services as phone calls, laundry etc. To book the tour click here to fill in the reservation form. We will ask you also to make the deposit to reserve your Tour. We will send you the link to the appropriate PayPal form for this. You will get a full refund if you notify us about the cancellation of the tour in writing no later than 90 days prior to your Tour start date. If cancellation notice is received less than 90 days prior to the Tour start date the deposit paid is non-refundable. The final payment date: 30 days before the start of the Tour.